With the most efficient and consistent dryers in the world, Adelco can reduce your costs and carbon footprint by investing in proven technology. EcoTex Gas Dryer : High velocity jet air conveyor, gas fired dryers for digital and screen print applications, Conveyor Width: 30” (750 mm), 40” (1000mm), 48” (1200mm), 60” (1500mm) and 72” (1800mm). 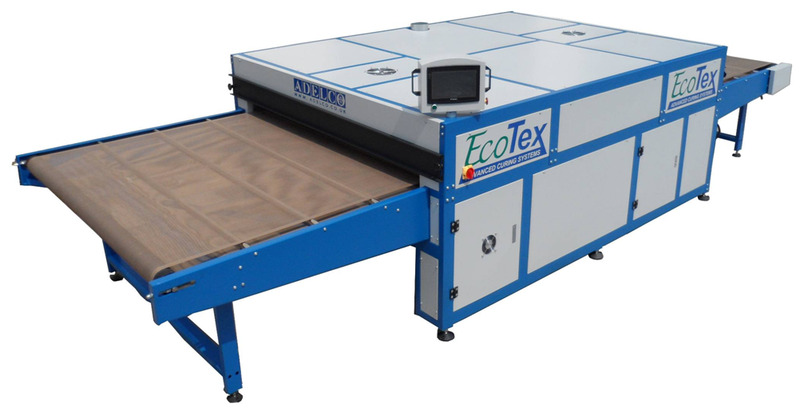 EcoTex Electric Dryer : High velocity jet air conveyor, electric dryers for digital and screen print applications, Conveyor Width: 30” (750 mm), 40” (1000mm), 48” (1200mm), 60” (1500mm) and 72” (1800mm).